Caption slip reads: "Photographer: Mack, Lou. Date: 1953-12-15. Reporter: Scott. Assignment: Boat invention. 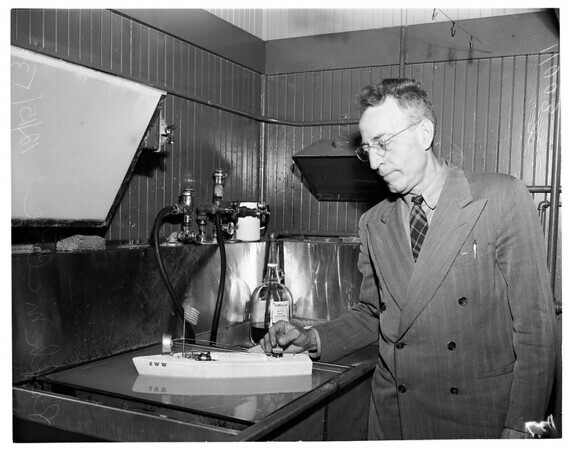 40: Inventor Ralph McCabe with model of boat that operates on salt water ionization. 41: McCabe pushing lever which causes fog horn to sound off".